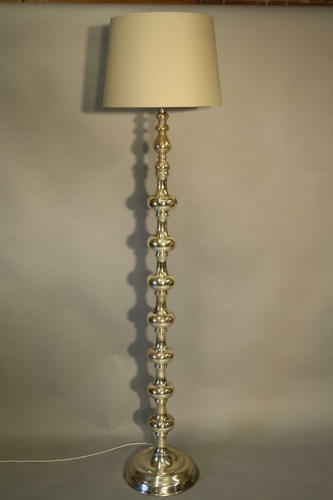 A very elegant silver metal floor lamp with wonderful bobble/sphere stem. Spanish c1970. Height to shade is 170cm and without shade: 148cm. The base width is 30cm. Very sturdy. Fully rewired and PAT tested for UK use.